Inspired by the latest skincare ingredients, the TREAT.ME range is a collection of ‘made to order’ in-salon treatments that deliver deep conditioning, shine and long-lasting nourishment. 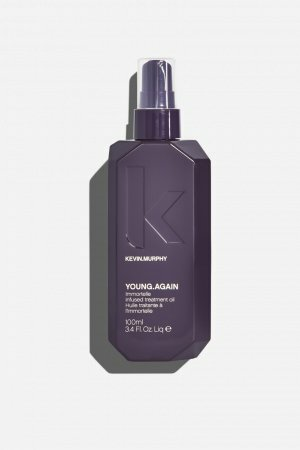 Plant derived ‘Super Proteins’ help to strengthen and repair everyday damage caused by heat styling and chemical treatments. 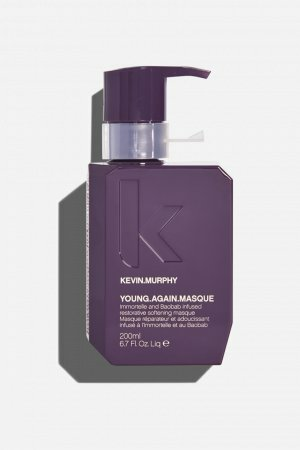 Select from a range of treatments that include Repair, Nourishment, Volume and Density, Colour Protection and Anti-Ageing – it’s like treating the hair to a high-tech facial. Nettle Extract helps to thicken the hair, and assists in preventing breakage. A natural Alpha Hydroxy Acid (AHA), Sugar Cane acts as a gentle, non-abrasive, non-irritating exfoliant to help remove dead skin cells, oily residue, and dirt from the scalp. 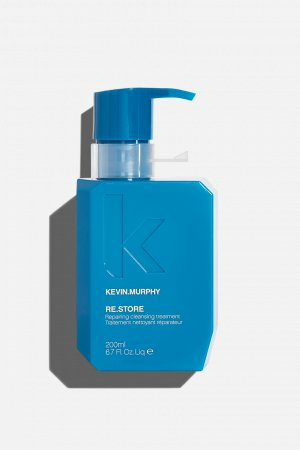 By effectively cleansing the hair, it allows for rapid absorption of nutrients that help to stimulate and nourish the hair. Vegetable/Plant Proteins are known to restructure the hairs’ surface to produce a more radiant and shiny appearance. 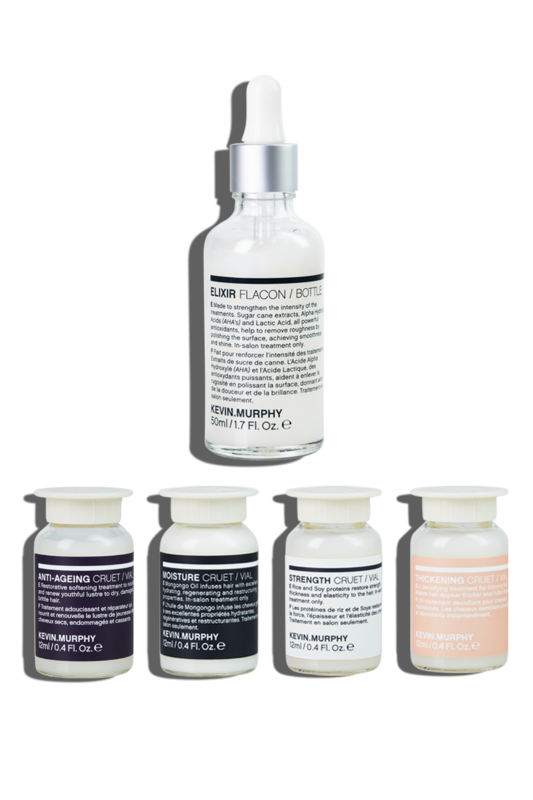 Ascorbic Acid (Vitamin C) a water-soluble antioxidant known to help protect the hair and scalp from free radicals. A sacred fragrance oil from the Tahitian Gardenia flower, Monoi Oil imparts shine and softness as it helps to rebuild and restore the hair. 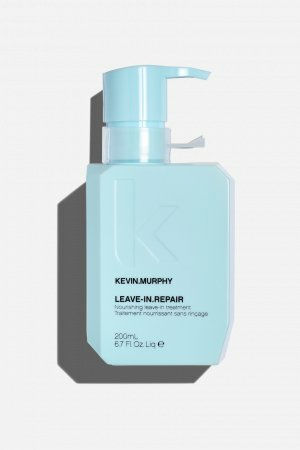 Our TREAT.ME Cruets are designed to create a memorable KEVIN.MURPHY in-salon experience. There’s no ‘one size fits all’ when it comes to treatments and masques, and I wanted to offer the finest quality treatments to all women, no matter their hair concern. 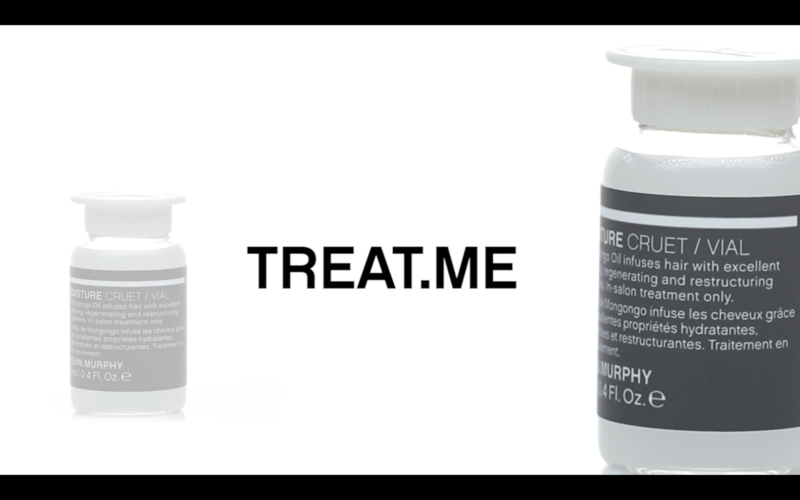 The inspiration behind TREAT.ME came from the latest advances in skincare technology – making every TREAT.ME experience feel like a high-tech facial for the hair.